It’s so hard for me to re-tell your story. Often times, people just want to know how you died, and I don’t hesitate to explain it to them, but that isn’t “your story”. There is so much to your story that even I don’t know. I speak about your birth, your life, your death, how these events have changed me, changed our family and friends, safe sleep, SIDS, and grief in general. But the reality is that I have no idea what’s going on with you up in Heaven. So I’ll do my best to tell the part of the story that I know and I pray that someday I’ll get to know the rest of it. 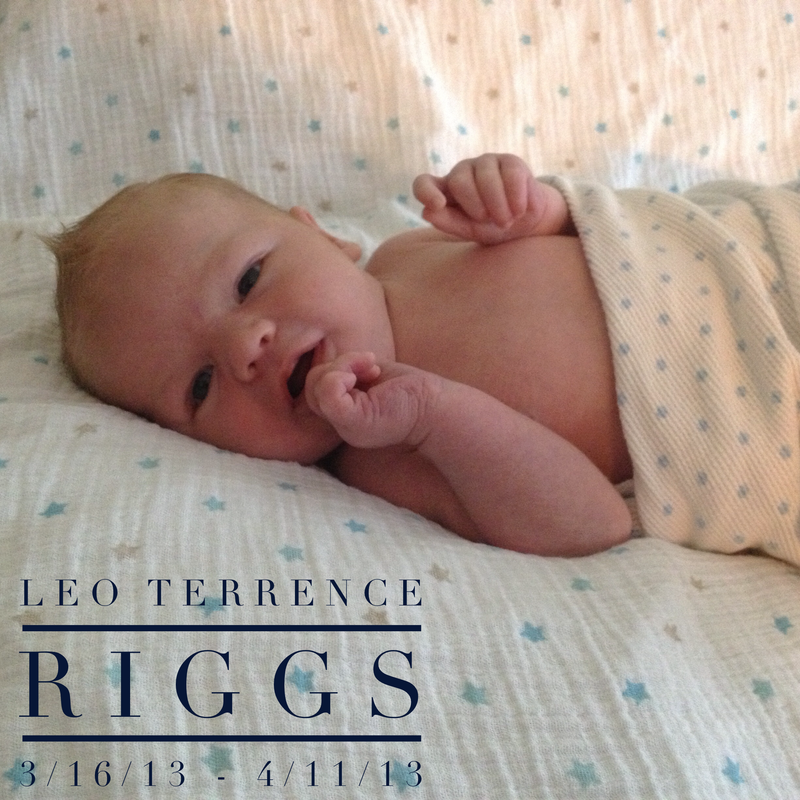 I am participating in “Capture Your Grief” in your honor, Leo Terrence Riggs. You were a little boy who arrived on his mama’s birthday, and went to heaven only 26 days later. A little boy who seemed perfectly healthy, whose death completely betrayed his parent’s trust in the human body, but not their trust in God. A little boy, who went to sleep so happy, so satisfied, and so loved, whose body never woke back up; but whose spirit awoke in Heaven. A little boy whose death opened his parents hearts and showed them that the world is full of beauty and that God surrounds every living creature, especially in their darkest hours. I love you Leo. I’ll never stop. You are as much a part of me as I am of you. Part of you exists here on Earth, in me and part of me exists in Heaven, in you. One day we will be whole again.